Size of this preview: 506 × 599 pixels. Other resolutions: 203 × 240 pixels | 405 × 480 pixels | 657 × 778 pixels. English: Nelson Mandela in Johannesburg, Gauteng, on 13 May 2008. Français : Nelson Mandela à Johannesburg, le 13 mai 2008. 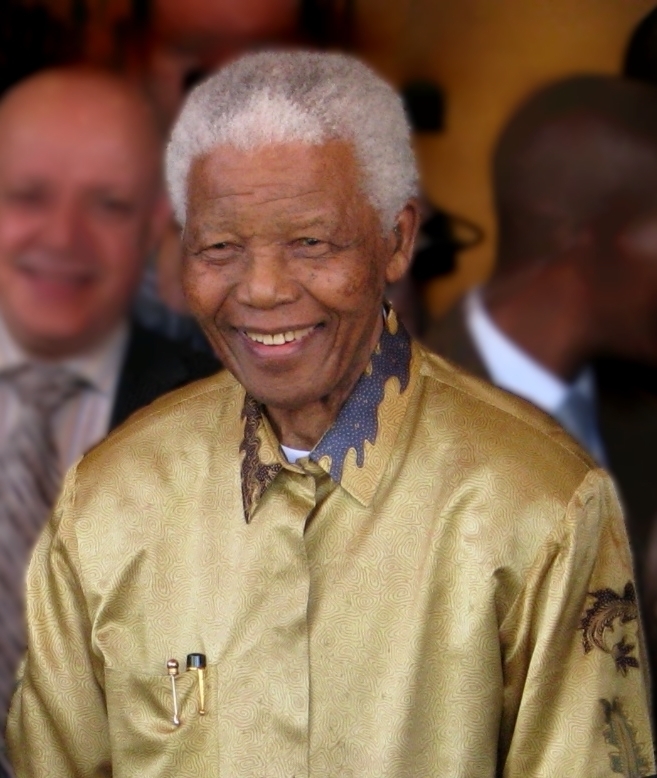 This file has an extracted image: File:Nelson Mandela-2008 (edit) (cropped).jpg. This image, originally posted to Flickr, was reviewed on 15 March 2010 by the administrator or reviewer Kjetil_r, who confirmed that it was available on Flickr under the stated license on that date. 13:49, 13 November 2016 311 × 406 (93 KB) Midnightblueowl Reverting to older version of image with has Mandela facing the left. This is a better orientation for the purposes of the Wikipedia article on Mandela.